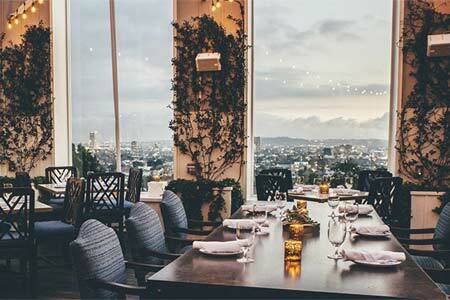 City views and all-day dining at the Mondrian Los Angeles. 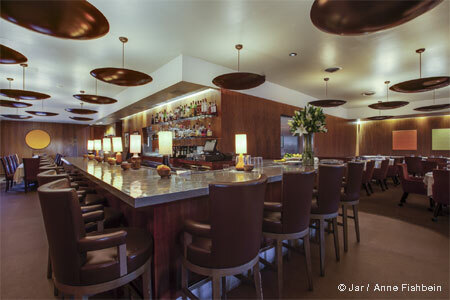 : Ivory offers all-day dining --- not to mention incredible city views --- at the Mondrian Los Angeles. Guests can start off with a shellfish tower, charcuterie and cheese or pork belly before diving into lamb shank Bourguignon, diver scallops, chicken with truffle butter gnocchi or steaks.